„You come, we’ll show you what we do”. 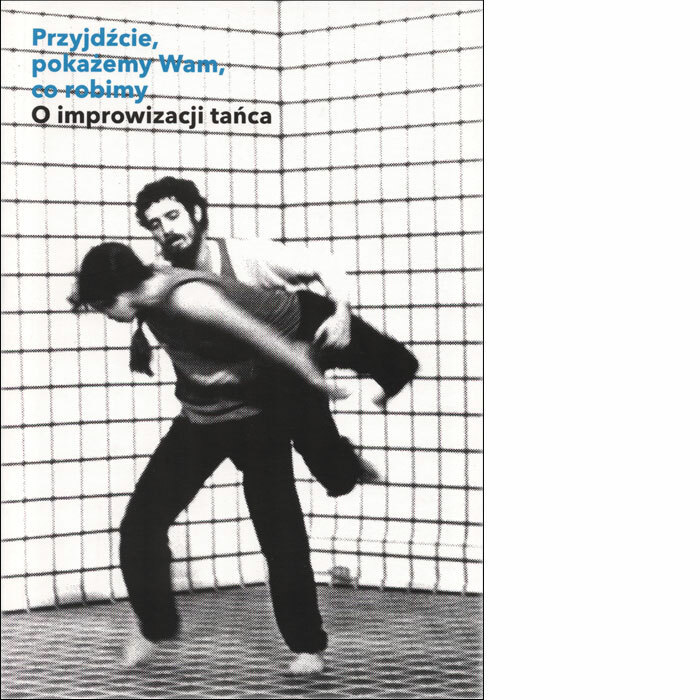 On dance improvisation is the first Polish publication totally devoted to improvisation and one of the few concerned with contemporary dance. Anthology of twenty five texts (translated into Polish for the first time or edited specifically for this publication) makes an attempt to discuss the issue in multi-dimensional perspective taking account of its philosophical, cultural and social contexts. The book includes texts by Simone Forti, Nancy Stark Smith and Yvonne Rainer’s texts used in solo improvisation. Steve Paxton and Sally Banes examine Grand Union, treated as a case study of group improvisation. Susan Leigh Foster discusses social and cultural context of dance improvisation in the United States. The book brings also philosophical texts that shed the light on fundamental aspects of improvisation, such as spatialization of the body understood not as a tool of the mind but as a thinking body (Jean-Luc Nancy) or uncertainty inscribed in ethical space of openness, where decision comes as a process rather than compatibility and stability (Michael Anker). Brian Holmes in his Affectivist Manifesto postulates to recognise intimacy as one of the major assets of the 21st century art. Alain Badiou treats Dance as a metaphor of thinking and stresses its liberating dimension. Gilles Deleuze in the text What is the Creative Act? outlines the substance of creation as a capability to personify, perform and transpose acts of resistance against the reality. Peggy Phelan in the Onthology of Performance discovers the evanescence of such art, its ability to counteract the reproduction of representation. The above considerations are supplemented with texts by Polish authors who deliberate on: perception and experiencing improvisation (Gabriela Karolczak), the labour of rehearsal and trying out (Juliusz Grzybowski), phenomenological subject (Zofia Maria Cielątkowska). Publication accompaning the exhibition: „You come, we’ll show you what we do” which took place at Muzeum Sztuki in Lodz (07.06-20.10.2013).